Pink Floyd news :: Brain Damage - Jon Carin - happy birthday! 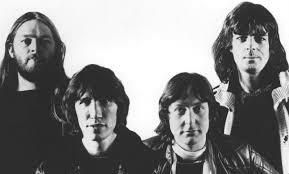 WELCOME TO BRAIN DAMAGE, YOUR PINK FLOYD, NICK MASON, DAVID GILMOUR AND ROGER WATERS NEWS RESOURCE! WE'RE REALLY SORRY FOR THE CURRENT ADVERT INFESTATION - WE THOUGHT WE'D FIXED IT. THEY ARE NOTHING TO DO WITH US, ARE EXTREMELY IRRITATING TO US TOO, AND WE'LL KEEP WORKING AT GETTING RID OF THEM! The US/Canadian leg of Nick Mason's Saucerful Of Secrets 2019 tour has now come to an end, after running through March/April 2019. UK dates are next on the agenda, and a short break before European dates in July! If you're going to any of the shows, we'd love to hear from you with your thoughts on what you experienced! HOW TO HELP THE SITE: If you want to contribute anything - such as concert reviews, articles or pictures - we'd love to hear from you; please email us. A sincere note of thanks to those who use our links to Ticketmaster.com, Ticketmaster.co.uk, Seetickets.com, Eventim UK, Amazon.com, Amazon UK , Canada, France, Italy, Spain, or Germany; iTunes; Zavvi.com; HMV.com; Base.com; or WowHD; and to those kind souls who make a Paypal donation toward running costs. Finally, please use these links for eBay.com, eBay UK, Canada, Australia, Italy, France, Netherlands, or Spain. Jon Carin - happy birthday! Our hearty congratulations to Jon Carin, who today celebrates his 46th birthday (Thursday, October 21st). The talented multi-instrumentalist has been a key part of the Pink Floyd operation since 1985, and more recently toured with David Gilmour (on his On An Island tour), and Roger Waters (on his Dark Side Of The Moon tour). He is currently a key member of Roger's band for the 110-date Wall tour of North America and Europe, playing keyboards and more during the show, which has wowed sell-out crowds in the US and Canada. For those who might have missed it, or want another chance to read it, check out our extensive and exclusive interview with Jon from August 2007. It's full of fascinating insights into his life and work with various top musicians, including (of course) David, Roger, and Pink Floyd! With the current lull in activity from the above, Jon has been keeping himself busy, and recently with GE Smith (who is also on The Wall tour, of course) produced an album for GE's wife. Taylor Barton. More details, and track samples, from Amazon or iTunes. Have a great day, Jon - and many happy returns!